Spark is Bell Flavor and Fragrances' resource for up-and-coming consumer trends and flavor inspirations that contains the power to excite, enliven, and invigorate your creativity. Using Bell's unique trend spotting process, we have uncovered new "sparks" that will ignite inspiration and translate into winning concepts for your customers. This year's Spark trends include a deeper dive into the region surrounding the Mediterranean Sea; consumers that are making healthy-ish decisions; ingredients only found in select locations; chefs using a pinch of wit and touch of clever when preparing the unexpected; an inspiration from our social surroundings and outdoor festivals; and a nod to regional flavors of the most well-known Chinese provinces in the culinary world. We encourage you to attend to find your spark of creativity, but more importantly to enjoy the flavor inspirations of each trend that will be provided. Jeena James is a Marketing Specialist for Bell Flavors and Fragrances. Having worked for a variety of companies over her career, Jeena has gained an in-depth understanding of the flavor and fragrance industry and draws upon not only her work experience but also her life experiences. Growing up in India, she has a curiosity for new flavors and can be creative in applying it to the mainstream consumers. Jeena also has a deep knowledge in the emerging beauty trends and is able to identify how flavors and fragrances overlap with one another. Jeena holds a Bachelor of Arts in Corporate Communications from Northern Illinois University and is based in Illinois. 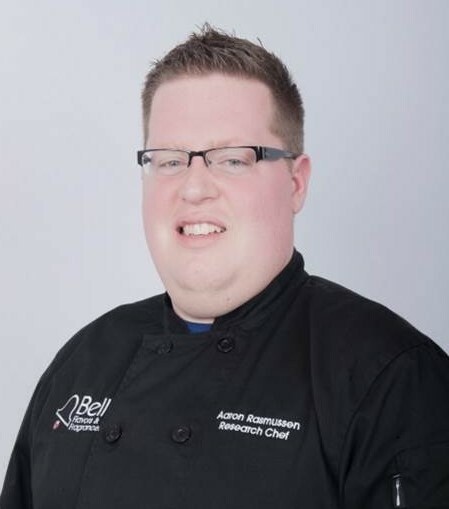 Aaron Rasmussen has been with Bell Flavors and Fragrances as a Corporate Chef since 2012. At Bell, Aaron is responsible for creating unique savory concepts for meats, snacks, and sauces, following flavor trends, and providing gold standards for flavor creation. Prior to joining Bell, Aaron owned his own catering company for 4 years, serving food and cakes for multiple weddings and numerous small events. He also worked at FONA International developing encapsulation technologies, while completing his Master’s in Food Science at the University of Illinois. His research included: conducting shelf life studies of freeze dried salmon baby food, novel packaging for the reduction of myoglobin oxidation in pork, and descriptive analysis sensory panels comparing the aroma of French fries over time in various frying oil mediums. He has published a paper on “Utilizing food science demonstrations to engage students of all ages” in the Journal of Food Science Education, as well teaching a mini course at the national IFT meeting on engaging high school students in food science. He currently is working towards his CCS through the RCA and holds an International HACCP Certification for Meat and Poultry as well as a Food Service Sanitation Certification from the state of IL. Jenna Schowalter is the Manager of Sweet Applications at Bell Flavors and Fragrances. At Bell, she works with a talented team to develop creative dairy, bakery and confectionery applications that feature unique and trend-forward flavor profiles. 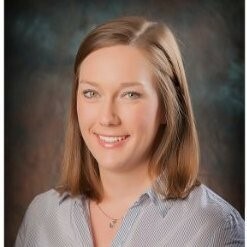 Prior to her time at Bell, she was an Account Executive and a Senior Applications Technologist at FONA International Inc. Jenna has a Bachelor of Science in Food Science and Human Nutrition from the University of Illinois at Urbana-Champaign and a Certificate of Professional Cookery from Kendall College.